Painting Contractors – How To Pick The Right One! I love this time of year! The sun is shining, the neighbors are barbecuing and I’m doing what I love best – helping clients choose colors for their homes. With every paint contract, I offer a complimentary color consultation. I have to admit this is the part of my job that I enjoy the most. It gives me a little extra time to build a relationship with my clients. And, I learned early on that no matter how expertly we’ve applied the paint, the client gets the most enjoyment when the color is perfectly suited to their taste and lifestyle. Occasionally, I check in on the big-name painting sites to see what they’re saying about the latest color trends. On one such recent visit, I read some really poor advice: consider your neighbor’s house and make sure your color selection doesn’t clash. I couldn’t disagree more! In my experience, when the time comes to update your exterior paint colors, chances are the majority of homes in the neighborhood are also using outdated colors. Painting provides a great opportunity to make a bold move and bring in some contemporary colors… or select a color scheme that you just love, regardless of what the neighbors are up to. Don’t let the fact that so many people choose run-of-the-mill beige stop you from moving into a more interesting or vibrant palette. 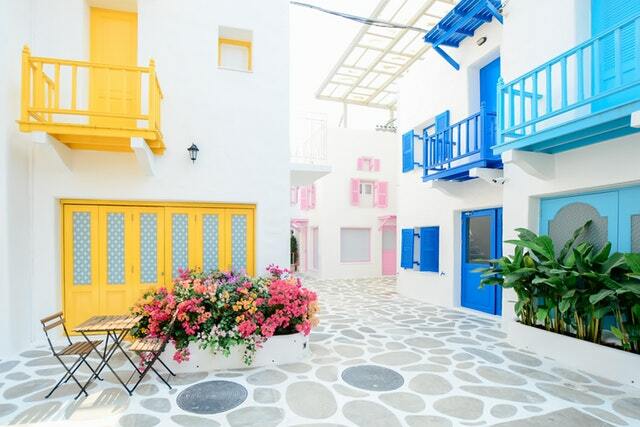 With a little guidance and reassurance, we can bring in an improved palette with current colors to set a new and refreshing trend in the neighborhood. Chances are, the neighbors will appreciate it as much as you do! Does the house have a brick or stone facade? Consider the landscaping features and the roof color. Look at pictures in magazines, online or in brochures provided by the paint stores; these are great resources for paint colors. I often ask my clients to take pictures of houses they like when they are out and about. The Houzz.com website is another great place to collect ideas and inspiration. Natural lighting washes out color, so you can hardly go wrong by going darker. I can’t remember a client ever saying they wish they had chosen a lighter color, but I’ve heard many remarks about wishing for a darker palate. When selecting colors, even in the darker palettes, it pays to consult with a professional who understands which colors are best with regard to fading. The house will look bigger if the garage door is painted the same color as the main color on the house. This strategy works great, unless you have a custom, fancy garage door that is a beautiful accent all by itself. I love red doors; they are just so Portland! Black doors are classic, but there’s risk of blistering if the door gets too many hours of full sun. There is an endless selection of fun colors and palettes to match or compliment your house color, which can create a unique and beautiful focal point. It’s tempting to add splashes of color here, there and everywhere, but this approach is only really effective with certain architectural styles such as Victorian, craftsman or bungalow. The most common and best combination for most homes is 1) a base color, 2) a trim color and 3) a door accent color. When in doubt, call in a professional to consult. Most of all, remember that the colors you choose say a lot about you… so don’t be afraid to let your style and preferences show! You never need to go it alone. Give me a call and I’ll bring my color swatches over. Essential Maintenance Projects You Should Do Now! Spring is here. And you know what that means! Here are 7 of the most essential maintenance projects to get started on. Oh, and a special offer from one of our cleaning professional partners! Don’t wait until the next paint job to wash your house. Washing your house will make your paint job last longer, your house look better, and it’s a great way to inspect your exterior from top to bottom to see if there are any hidden issues. We recommend washing your house every one or two years. Sisu Painting pressure washes year-round, so we are here if you need us. Cut back your landscaping at least one foot away from your house. Did you know that plants have airborne mold that will attach to your house and ruin your paint job? And, let’s not talk about how unsightly it looks. We’re all about being green here in Oregon, but green mold on your house spells nothing but trouble. Stay ahead of the problem by cutting back your bushes. A little household bleach and water can arrest mold growth. Check your air conditioner. Hot weather will be upon us before you know it! Perform essential maintenance: remove the cover, change the filter, check the hoses, add Freon, have an inspection or whatever it is that your air conditioner needs to keep you calm and cool this summer. This is on everyone’s home maintenance list, but nothing is more embarrassing than having your smoke alarm go off at midnight, calling 911 and waking up the whole neighborhood with ambulances and fire trucks only to find out the alarm is outdated and that it was only an internal warning alarm to let you know. This seriously happened to someone here at Sisu Painting this month. Spoiler alert: it was the owners. No seriously, purge it! You have summer projects coming up, you need the room and you don’t need all that junk. Someone out there does, so clear your space and your mind and donate those wares to your favorite neighborhood charity. Not too many people are willing to dig out the 30-foot ladder and clean their roof and gutters and luckily you don’t have to. We recommend All-Clean Soft Wash for this service and they are kindly running a special for our customers. Click on the coupon below! This is starting to sound more like a spring-cleaning guide than a maintenance list, but ‘tis the season! 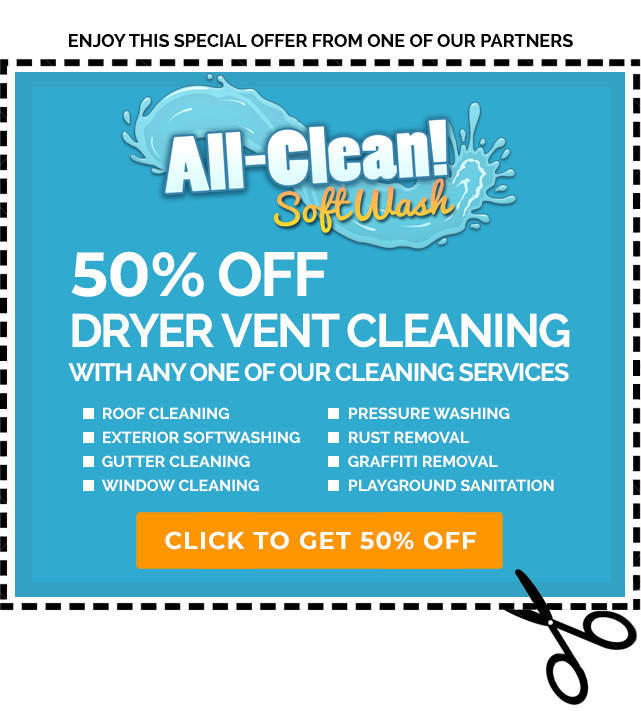 Contact All-Clean Soft Wash and don’t forget your coupon for half off dryer vent cleaning with a window service or any one of their other services! Not only will you get a better view of all the spring flowers, keeping things clean is the best way to spot problems and address them before they turn into remodel projects. We hope these tips help you achieve the results you are looking for. And remember, we are always more than happy to bid a job for you! CLICK HERE to get your FREE QUOTE for your next painting project. Fresh paint will feel dry to the touch, but it actually takes several weeks for the paint to fully cure. Latex or waterborne paint cures in approximately 30 days; whereas, oil based paints can take around 60 days. During the time when interior paint is curing, it is important not to clean or otherwise disturb the surface. Allowing the paint time to cure will significantly increase the longevity of your new paint job. Flat paint, which is the sheen I almost always recommend for walls, requires special care. Use a damp cloth to wipe away any smudges or dirt. Avoid rewetting the surface if at all possible. In cases of difficult marks or stains, it may be best to touch up the area with the original paint. Trim work is generally painted with sheen, usually satin or semi-gloss, which is easier to clean. Trim paint can rewet with excessive scrubbing, however, and you should never use an acidic cleaner on any paint surface as it can actually strip the paint away. A simple solution of Dawn dish soap and water is recommended for cleaning trim work. This also works great for stubborn stains on walls. Sometimes, a painted surface cannot be cleaned without damaging the paint. In this case, I recommend touching up the paint with the original paint (leftover from the paint job). After a certain period of time, which varies depending on environment and lifestyle, regular wear and tear from daily living will necessitate a fresh paint job rather than a touch up. A visual inspection of the house will reveal signs of mold/mildew or excess dirt from rain or weather conditions. I recommend pressure washing the exterior surfaces as needed. Treat any mold or mildew buildup with a dilute household bleach solution or a mildewcide. Loose paint may come off during the washing. If this occurs, it is an indication of a paint failure situation that must be dealt with. It is recommended that you use a professional painting company for any paint failure issue. Avoid the use of TSP (tri-sodium phosphate) for maintenance cleaning. This chemical can de-gloss the paint. Until next time – keep smiling! It’s a gloomy Portland day. You’re stuck inside looking at your walls, which have been the same color for years. You think – I could paint over that. I could have a fresh start; I could transform my whole world with just one coat of paint! You daydream, plan, plot. Your interior paint job will be the envy of the neighborhood. But then the anxiety sets in, and you read the label on the paint can: two coats?!?! And your world comes crashing down around you. While this may be overly dramatic, when it comes to tackling a wall or trim painting job on your own, switching from a one coat plan to a two coat plan has some serious consequences (and some serious consequences if you don’t!). Not only does the extra coat add extra materials, it adds extra drying time. Let’s be honest, it’s easier to only do one coat. Easier is not always better—often it’s worse. As professionals, we get to do all the worrying for you. We worry about the perfect coverage and finish, we worry about making sure that your paint is covered under the manufacturer’s warranty, and we worry about getting the most bang for your buck. If you haven’t hired us to worry for you, you should be thinking about these things too. “But Nancy,” I can hear you protest. “The shampoo bottle says wash, rinse and repeat and I never do that. Surely this manufacturer warning is just shampoo paranoia.” Let me explain why it isn’t. Unless you are painting with the same color as was already on your walls, you’ll need two to make sure that no nasty undertones pop through your new color. unless you follow the specifications as listed on the can. For most paint, this means using two coats. The warranty makes sure you’re covered in case of a bad batch of paint or some sort of failure down the road. Having the warranty makes sure your job doesn’t get unexpectedly more expensive because of issues with your paint. There are some exceptions to the two “coats = manufacturer’s” warranty rule. For example, Benjamin Moore’s Aura honors their warranty with only one coat as far as product failure goes. They don’t, however, guarantee coverage with only one coat. Paint durability is dependent on the thickness with which it is applied (or its level of film). But there’s a catch 22, in order for paint to spread evenly, it requires thin coats. If you try to get a thick coat in one go at it your paint might end up looking like a hot mess; dripping, running and sagging all over the place. The best way to get an even, thick coverage is to do two thin layers. It’ll be worth your time! Because of the coverage issues we’ve already talked about, touching up one coat can be dangerous. If your first coat did not achieve full coverage, a touch up will stand out loud and proud with full, mismatching coverage as compared to the rest of the wall. So, whether you’re giving your walls a face lift or painstakingly painting your trim, two coats is generally the way to go. You’ll have a beautiful, lasting finish that will make you sigh with joy not pull your hair in frustration—at least until the next time you decide to change it up. Choosing the perfect color scheme can feel overwhelming. What if, once it’s on the wall, you don’t like it? What if, after a year, you’re tired of looking it? If you’re like me, it’s important that your style of décor and color schemes reflect your personality – although, in my case, I really don’t want the scatterbrained, distracted and flighty part of my personality to come through! I look for the sophisticated and subtle parts of me hidden deep down inside. What better way to draw them out than with the colors and décor I choose for my home? 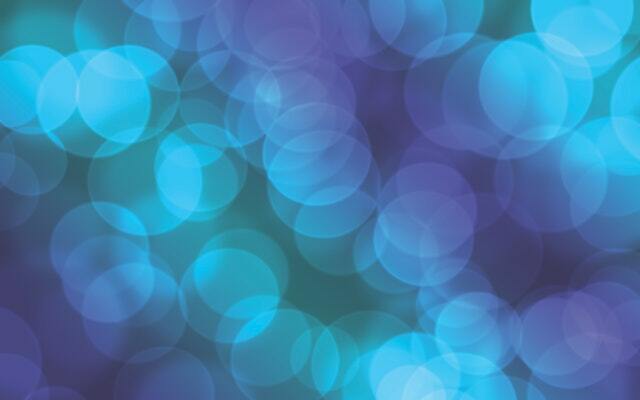 When choosing colors for a client, I rely heavily on intuition and experience. When it comes right down to it, some colors just pop and feel “right” in a given space. And, I also consider how it all comes together, which is my way of saying it’s important to select colors that are analogous. Analogous is just another way to say similar or comparable. Analogous colors are the colors that correspond to each other on the color wheel. When you look at the colors splayed out on the wheel, the color on either side of your dominant color is analogous. The best part about analogous color schemes is that they flow nicely. Unless you are specifically trained or gifted with color, picking colors around the wheel can end up looking like a mess. If you pick colors next to each other, you have a much better chance of getting it right. The wonderful thing about color is that a little change can make a big impact. You don’t need to pick green in one room and red in another to give your house interest. Picking green in one room and blue-green in the next can be just as striking with a much better flow. The rooms will feel like they are related to each other, in a sense connected, and the style theme will carry from one room to the next. When selecting colors, it should be a goal that your space appears as though it was completely decorated all at the same time and in the same style. That doesn’t mean you can’t mix up styles; however, if you do, try to carry that theme from room to room. In this way you avoid the perception that every room represents a different stage of your life. Need a little inspiration? Invite me over and I’ll bring my color wheel. Choosing the theme for your home can be both fun and inspiring. Subscribe to Sisu Painting and we’ll send you helpful tips, tricks of the trade, as well as very special offers available ONLY to our subscribers! YES, Please subscribe me for the latest news and offers! Find local offers on Nextdoor, the private social network for neighborhoods. March 8th 2019 is International Women's Day! Put your hands out and strike the #BalanceforBetter pose and make International Women's Day YOUR day! Post your #BalanceforBetter pose in the comments and tag 3 women in your life that inspire and encourage you, and one lucky gal and a friend will each get $10 Starbucks gift card for their next coffee date! The random winners will be chosen Tuesday, March 12th. Sisu Painting, Inc. is at Sisu Painting, Inc.
Sisu Painting, Inc. updated their cover photo. Proud to announce that Sisu has done it again! 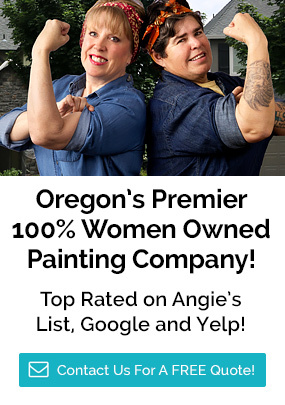 We couldn't have done it without our amazing painters and office staff but most of all, our even more amazing clients! Heres to many more years of excellence. Sisu Painting, Inc. is with Nancy Long.